Mike Painter is Missoula’s outstanding neighborhood volunteer of 2019, and his legion of friends and neighbors are speechless. Presented by the mayor, City Council and Community Forum for each of the past 15 years, the outstanding volunteer award honors a Missoula resident “who has made significant positive neighborhood contributions through their volunteer efforts,” said Jane Kelly, Missoula’s neighborhood coordinator. Painter fits that bill and more. He’s a graduate of Sentinel High School, Missoula College of Technology and the University of Montana. Painter started his career with the Missoula Fire Department in 1980, becoming assistant chief in 2004 and then chief in 2009. City Councilwoman Gwen Jones credited Painter with giving her a solid introduction to city government when she first got involved in the Rose Park neighborhood council. “He’s an institution,” she said. “And he has no ego,” Jones said. If it’s a contentious issue with a room full of people demanding answers, Painter is there to help. But he’s also there when a neighbor needs help shoveling their driveway. 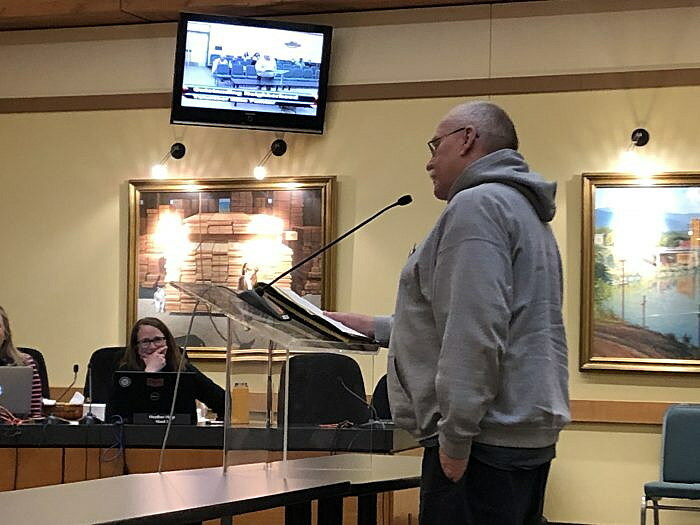 True to form, Painter told the two-dozen or so friends and family at Monday night’s announcement that he’s “not a big fan of personal accolades,” but that he did appreciate the many kind words.